Race fees- Entry by donation of $2 or more. Ecocash accepted. Every Little Bit Helps! 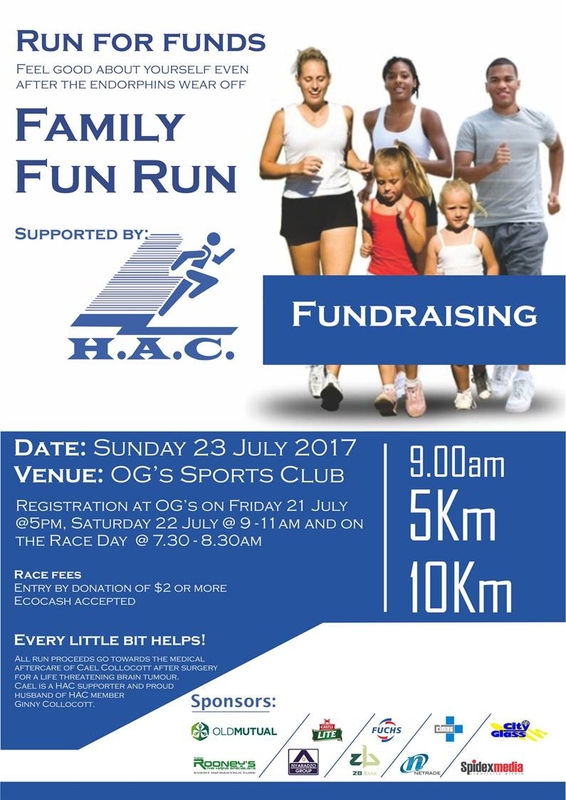 All run procceeds go towards the medical aftercare of Cael Collcott after surgery for a life threatening brain tumour. Cael is a supporter of H.A.C and a husband of a member of H.A.C, Ginny Collcott.